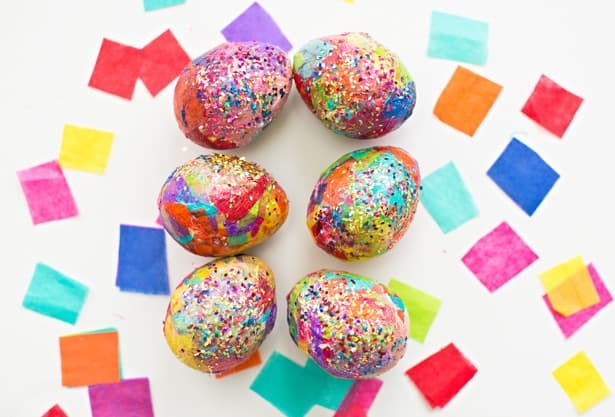 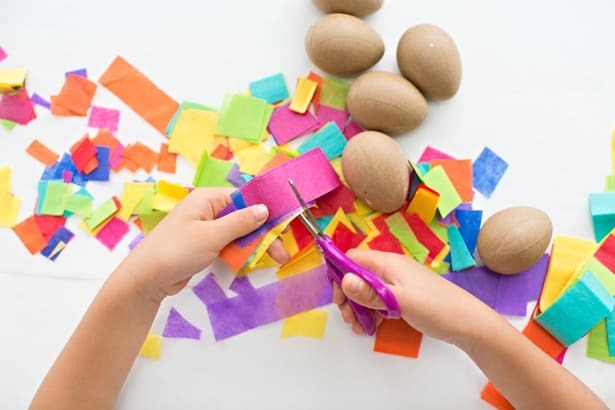 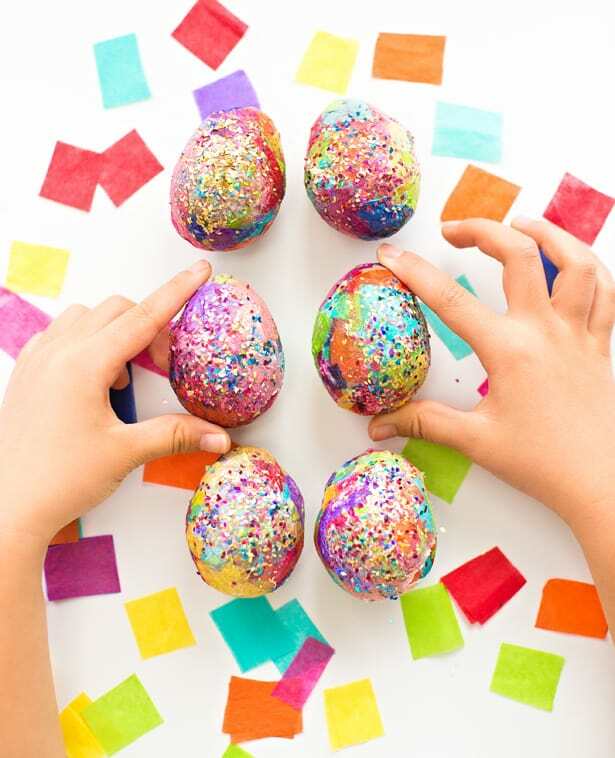 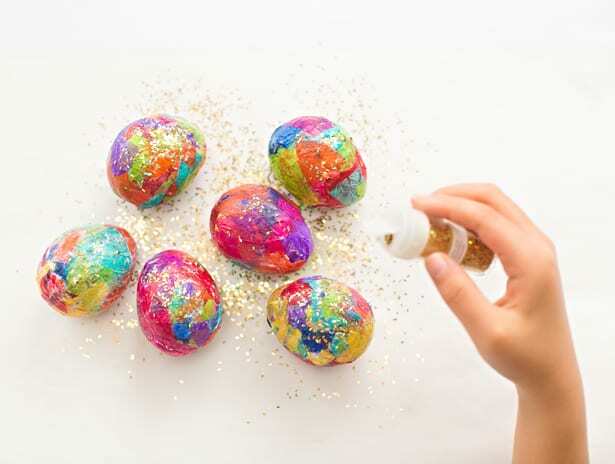 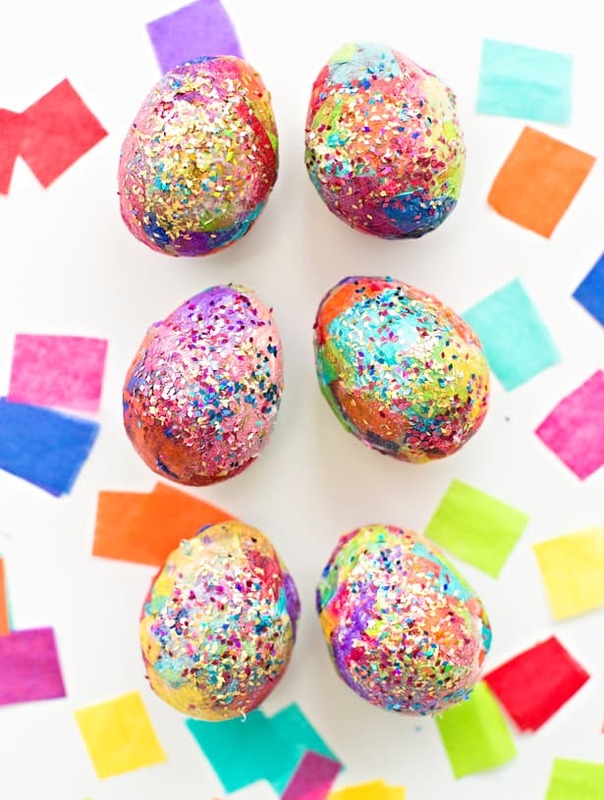 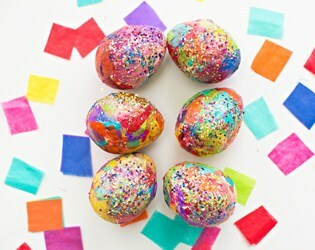 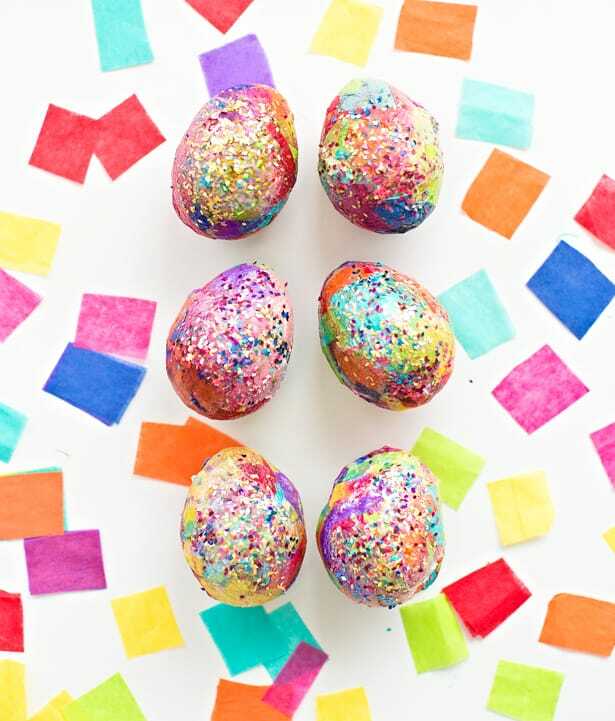 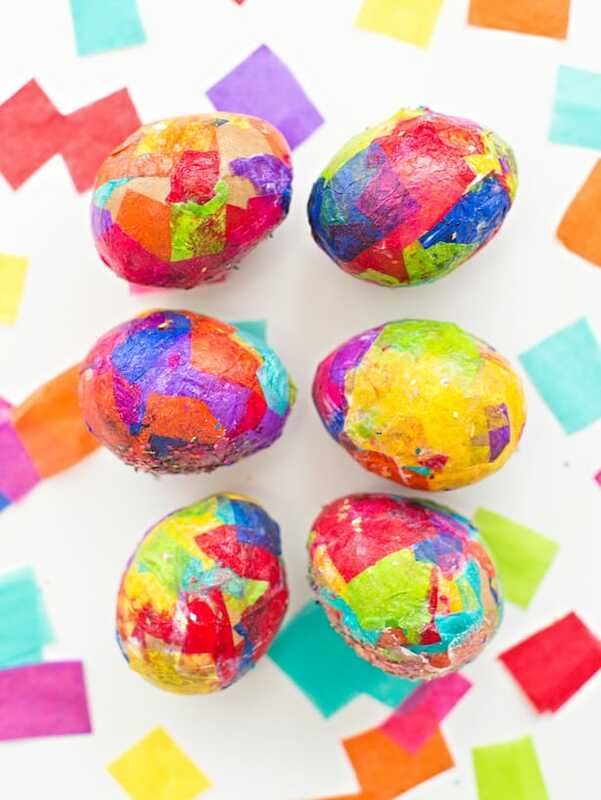 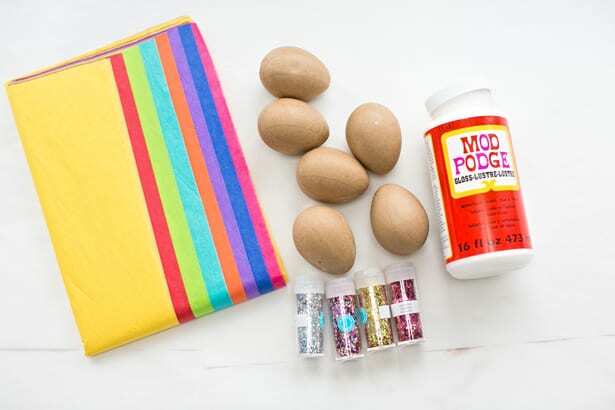 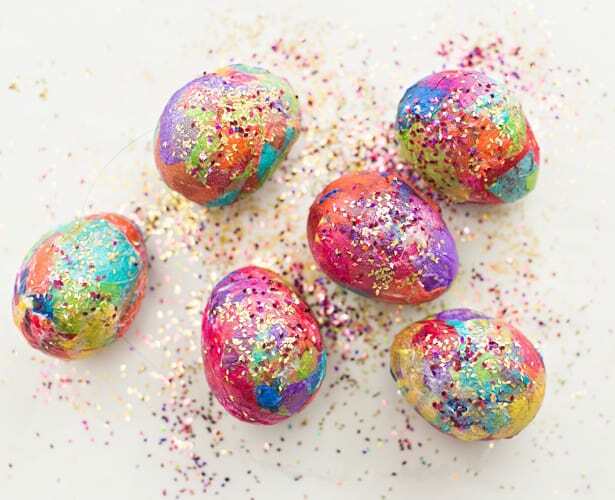 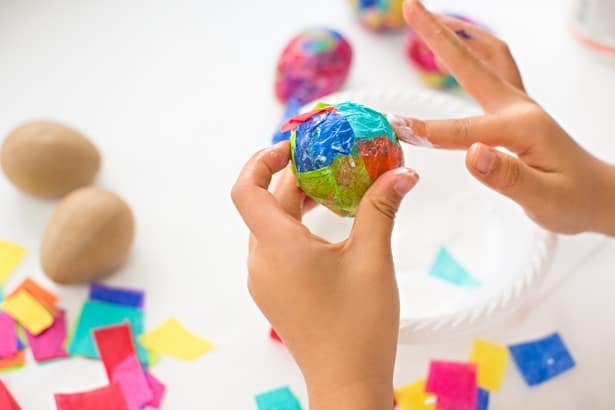 Add a little sparkle to your Easter eggs this year with these fun glitter and tissue paper Easter eggs. 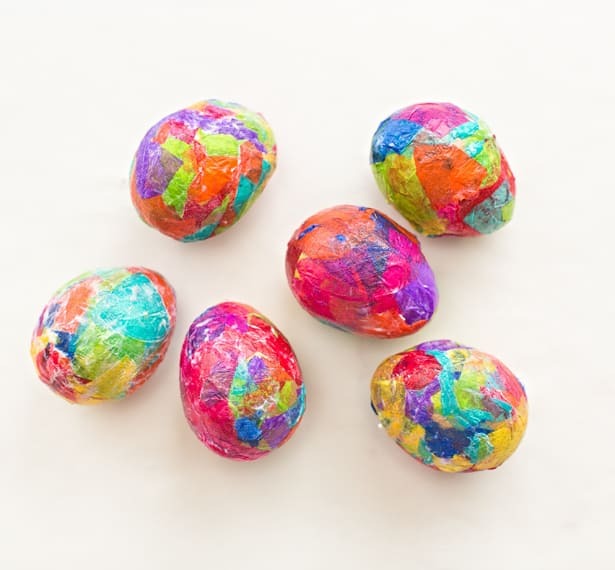 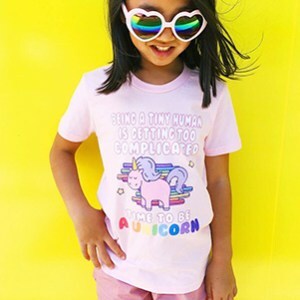 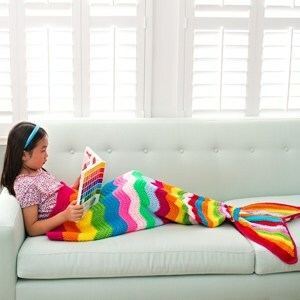 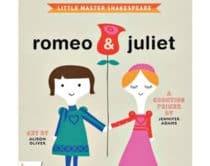 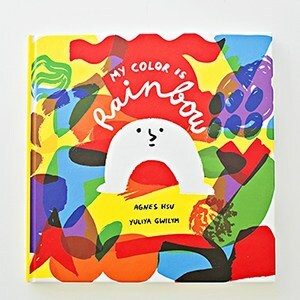 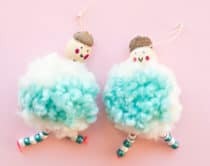 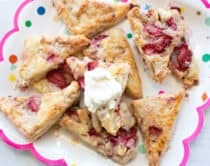 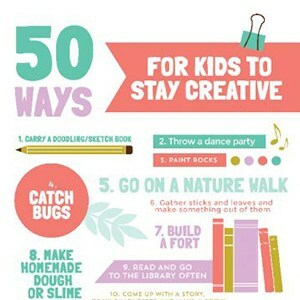 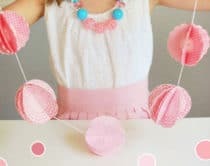 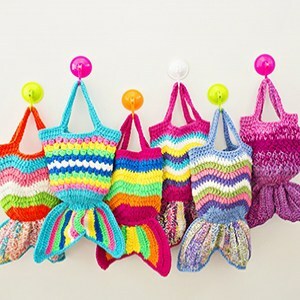 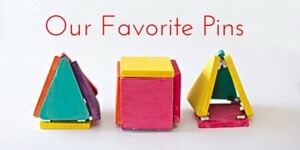 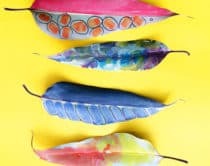 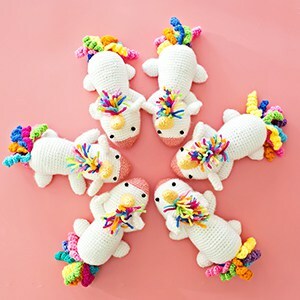 This is a fun one for kids to dip them hand into, full of messy and colorful fun! 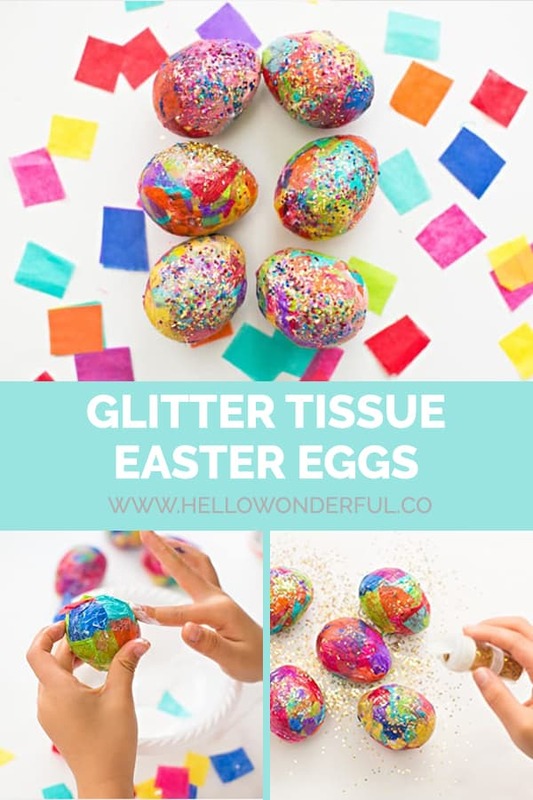 ﻿At this point you can flip over the eggs and add more spray adhesive and glitter but we choose to keep one side glittered and one side with just the tissue paper because we liked both effects!